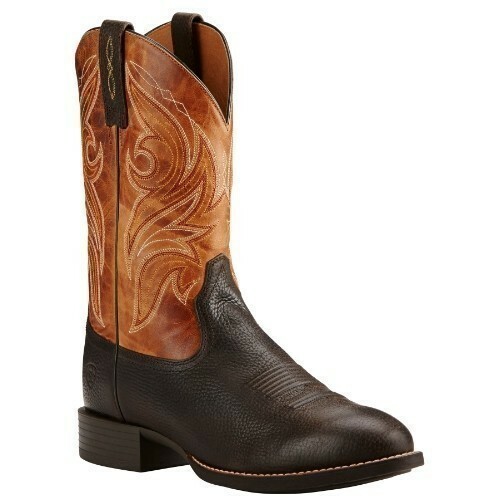 Ariat style 10018729 features a round toe and a 1.375-inch roper heel. The Duratread rubber outsole provides maximum wear resistance, without sacrificing flexibility. The rich Iron Coffee vamp looks great with jeans of any shade and compliments the 11-inch Two Tone Tan top. These boots are relatively low maintenance. Just apply Apache Cream to the vamp and use a little elbow grease to blend minor scuffmarks away. The ATS technology provides comfort, shock absorption, and stability for all-day wear.